If you are looking for an easy to grow vegetable that ranks right up there in popularity with tomatoes, try growing green beans. 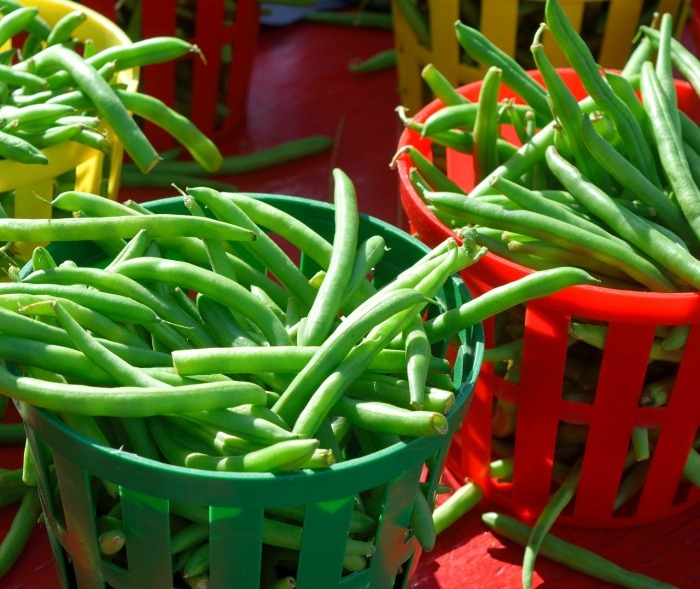 Find out which variety is a good choice in your vegetable gardening project this summer – bush beans vs green beans, and also when to plant, how to nurture and tips for harvesting the beans. Both types of beans are from the wax bean family and are easy to grow. 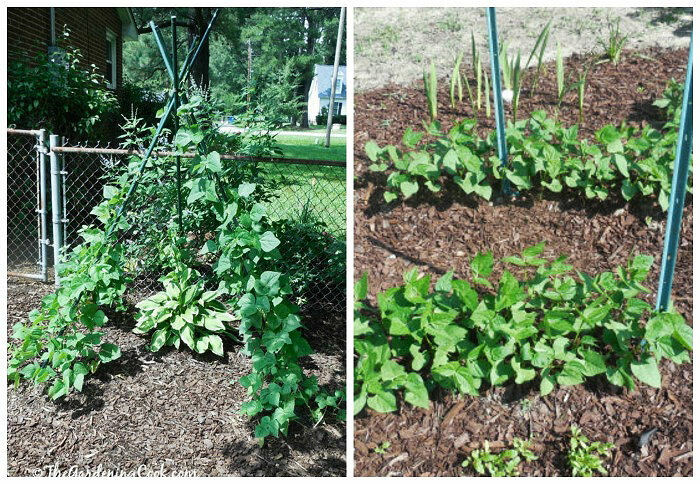 The main difference between bush beans and pole beans is the support that they need. All green beans like a bit of support but pole beans grow much taller and really need trellis or poles to climb on to get a successful harvest. Beans are so easy to grow that even gardeners with a brown thumb will be successful. As long as you wait until the ground is nice and warm, just plant a bean seed and it will most likely grow and give you a generous harvest, with very little work on your part. 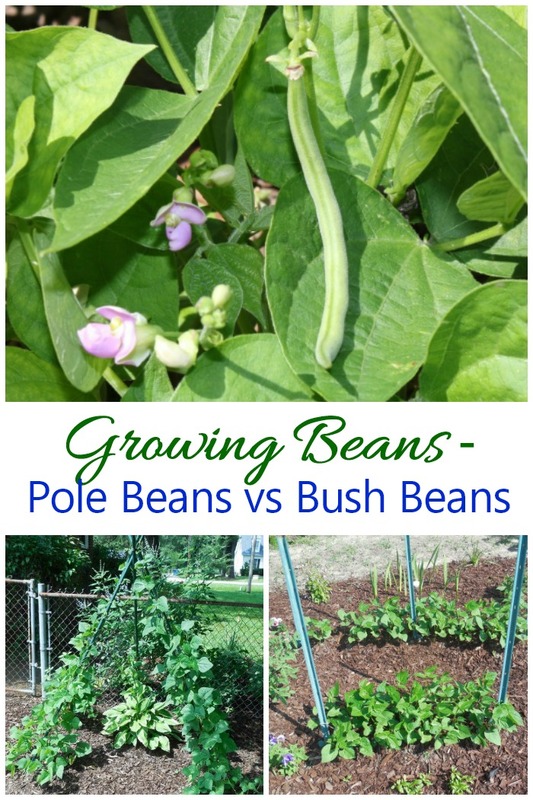 The difference between pole beans vs bush beans. Before we get into the actual growing of these two types of beans, it is important to understand the difference between them! Much like determinate tomatoes, bush beans give you a large harvest over a relatively short period of time – usually about 3-4 weeks. This type of bean is a good choice for gardeners who like to can and freeze, since you will get large harvests all at once. Generally a support is not needed for bush beans, although they enjoy being planted in two rows near to each other to give them some light support, especially when they bear fruit. 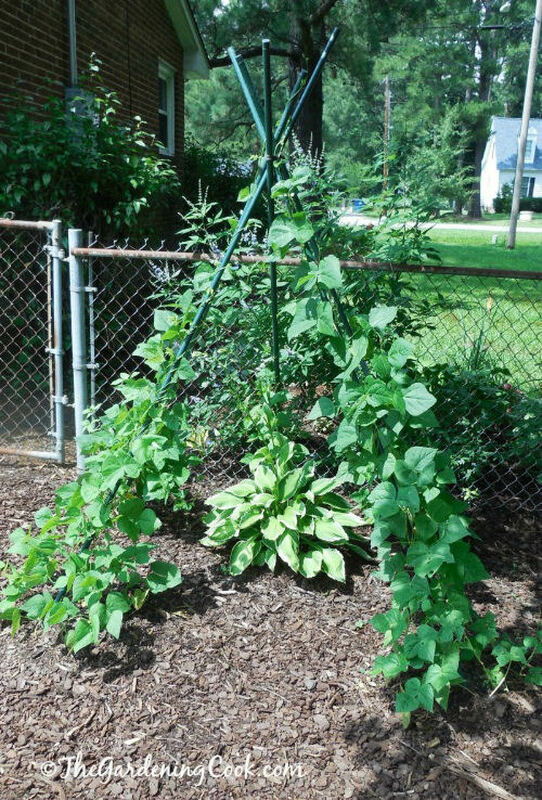 Pole beans climb on a support, which also makes them good for small space gardening, since they will be growing up trellises not in rows. 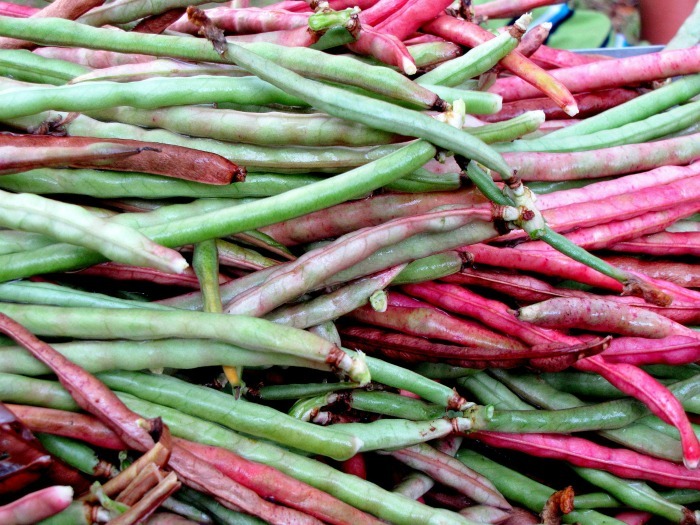 But instead of a large harvest over a short period of time, pole beans have quite a long harvest period – about 6-8 weeks. You will definitely need a support for pole beans, either a trellis or some poles to climb on. 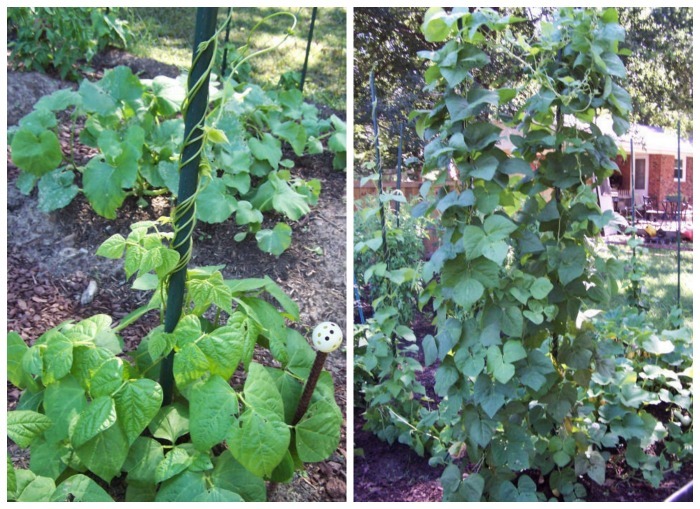 Below is a photo of my DIY bean tepee which is perfect for pole beans. It can be made in just minutes, the beans love to climb up the poles and kids will love hanging out in the tepee shape having a healthy snack of fresh beans! Pole beans will also climb single poles easily. Just plant the seeds in hills around each pole and watch the tendrils take hold of the pole and climb up to 6 feet or more and make a full, lush plant that will soon be covered in beans! Even very easy-to-grow vegetables will do better if you follow a few general growing tips. Read on to find out how to make sure your harvest of beans will be a huge one this year. Which type of bean to choose can depend on your climate. Bush beans do well in moderate to hot summers and climbing pole beans seem to prefer a cooler summer. My brother in law, in Maine, has great success with my great grandmother’s heirloom bean seeds, but I have better luck with the seeds here in the early part of the summer, but they don’t do as well in our later hot weather. In addition to a sunny spot where the plant will get 6-8 hours of sunlight, a bean plant also needs well draining soil. Be sure to wait until well past the date of the last frost in your area. Bean seeds prefer the soil to be nice and warm to germinate well. Bush beans can be planted a little earlier than pole beans, which are even more susceptible to frost. I like to choose heirloom seeds so that I can save some beans at harvest time to give me seeds for next year. Hybrid seeds have been modified so that any seeds won’t produce true to parent. Before you plant the seeds, it’s a good idea to add some organic matter to the soil. I keep a rolling compost pile going all summer long to give me humus to add to my soil. It is the fastest way of composting and adding some organic matter before planting seeds means that the need to fertilize all summer long won’t be necessary. Bean seeds like to be planted directly in the spot where they will grow if possible. Just plant the seeds an inch deep and keep the seeds watered until they germinate. Beans are a good crop to plant when gardening with kids. The seeds are quite large and the kids will be able to plant them easily. They will germinate in about 7 days and you’ll have a good sized plant in just a few more weeks. Where to plant the seeds depends on your garden space and type of bean chosen. Planting pole beans around a teepee is a matter of placing the seeds an inch deep in a circle around each leg of the support. Bush beans are often planted in double rows side by side that are close together so that each row supports the other side and negates the need for a trellis or other form of support. Both bush bean and pole bean plants will flower right before they start to set beans. This normally takes about 55 days from planting for bush beans and 65 -70 days for pole beans. 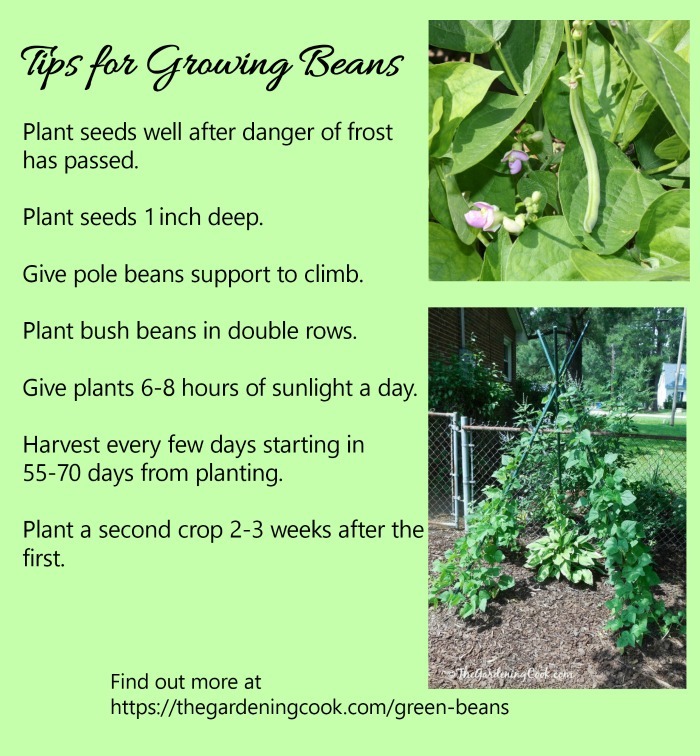 To decide how much to plant, plan on 10-15 bush beans plants or 3-5 hills of pole beans plants (one teepee) per person in your family to give an ample harvest all summer long. Bush beans have a short growing time to harvest, so it is a good idea to plant a second set of bush bean seeds about 3-4 weeks after the first planting. Harvest the first batch of beans and then pull out the old bean plants and add them to the compost pile, knowing that you’ll have another harvest in a few weeks from the second crop! This will give you a steady harvest of beans all summer long. Green beans or yellow beans? Both bush beans and pole beans come in different colors. The most commonly grown ones are green and yellow, but purple, red yellow and mottled beans are also popular. There is a reason that yellow beans are more expensive than green beans. The plants grow more slowly and produce less beans. I planted some yellow bush beans in mid June and some green bush beans in late August last year. 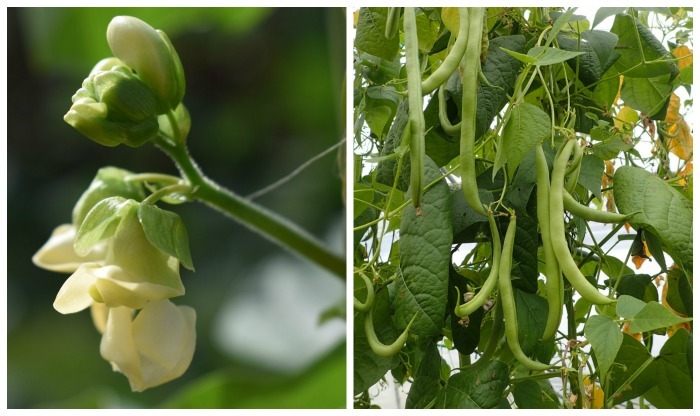 The green bean plants grew about 8 inches taller with many more and much larger beans when compared at the same time, even though they had been growing for a shorter period of time. See how few yellow beans there are in this bunch? The trick to getting a great bean harvest is to pick the beans regularly. If you wait to pick, the bean pods will grow too large and the beans will be tough and stringy and the overall harvest smaller. If you harvest regularly once the plants are mature, (every day or so) the plants will continue producing more beans for weeks so you will get a larger crop. Both pole beans and bush beans are candidates for saving seeds, if you plant heirloom seeds to begin with. This will give you a batch of seeds to use the following year without having to purchase new seed. See my post on how I saved seeds from my grandmother’s heirloom bean seeds. Both pole and bush beans are dependable and easy to grow, giving very large harvests for a small effort. They are the perfect choice for beginning gardeners, including children, and seasoned pros as well. 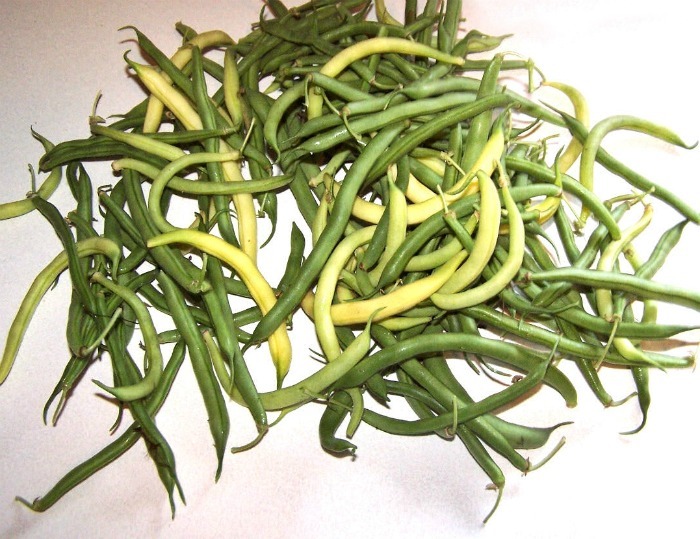 Why not grow some delicious green beans for your family this year? Admin note: This post first appeared on the blog in September of 2012. I have included many more photos, and a more detailed tutorial on how to grow, and harvest beans, as well as details on the differences between the two types of beans. Thanks for all the great info. Love the care card at the end to be able to print. Thanks!!! For the second year running, my pole beans are not climbing!! They are barely producing, and are acting more like bush beans. I soak the seeds for a day before planting them. I am CERTAIN that I did not mix up my pole beans and bush beans during this process. What could be happening? In past years, they produced with wild abandon. This year, it’s only the bush beans in planters that are doing well. I’ve got Kentucky, Royal Burgundy, French style – the varieties you can get at Agway. Thanks for your very clear advice here. I will definitely look for heirlooms next season! P.S. In the past, I have had great luck with starting them indoors. I just put them in large (2″) containers, then remove them very carefully and plant in the ground.